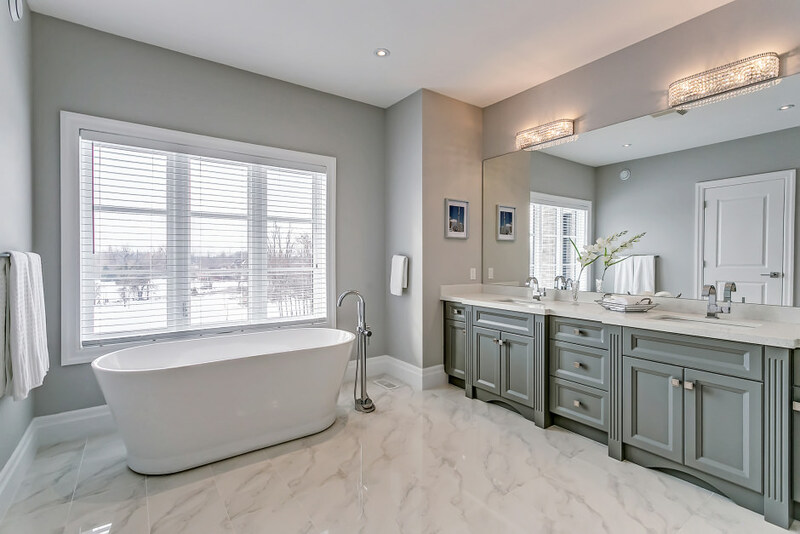 This newly built luxury home located in the town of Campbellville is proudly situated on 1.6 majestic acres and offers country estate living in a tranquil upscale community, just a short drive to Hamilton and Toronto International Airports. The home features 5 bedrooms, 4 bathrooms and a spacious open floor plan boasting 4900 sq ft above grade, 10 ft ceilings on the main, wire brushed white oak hardwood, and heavy mill work throughout. The eat-in gourmet caesarstone kitchen includes a functional centre island, an outstanding appliance package including Jenn-Air, Wolf, Bosch, and an abundance of solid maple soft close cabinetry with glass display and valance lighting. The kitchen opens to the great room which features a custom entertainment niche with fireplace, flat screen TV, and walk out to covered porch overlooking a massive private yard. The servery includes plenty of storage and leads to the dining and living rooms featuring wainscoting, mirrored accent wall, marble surround gas fireplace, and floor to ceiling windows. The powder room, laundry and dramatic 2-storey den complete the first level. 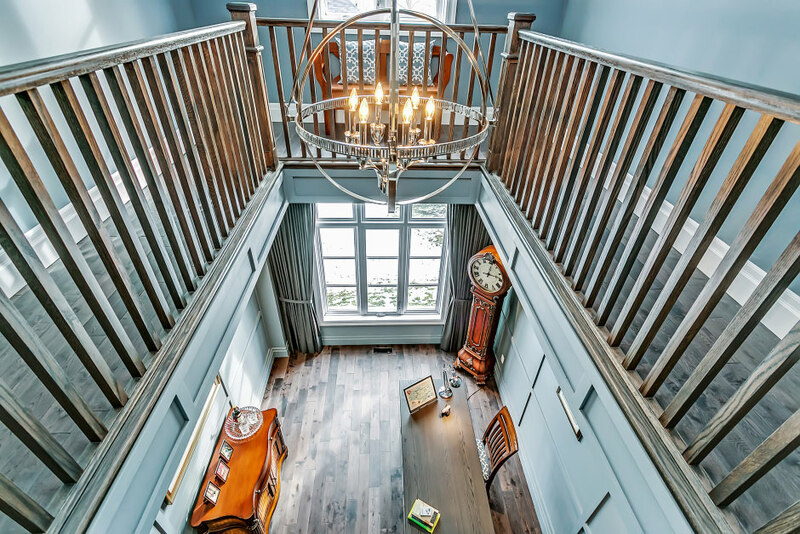 The second level features a bright landing with tasteful ceiling dome and accent lighting, library and sitting area with views of the 2-storey den below. 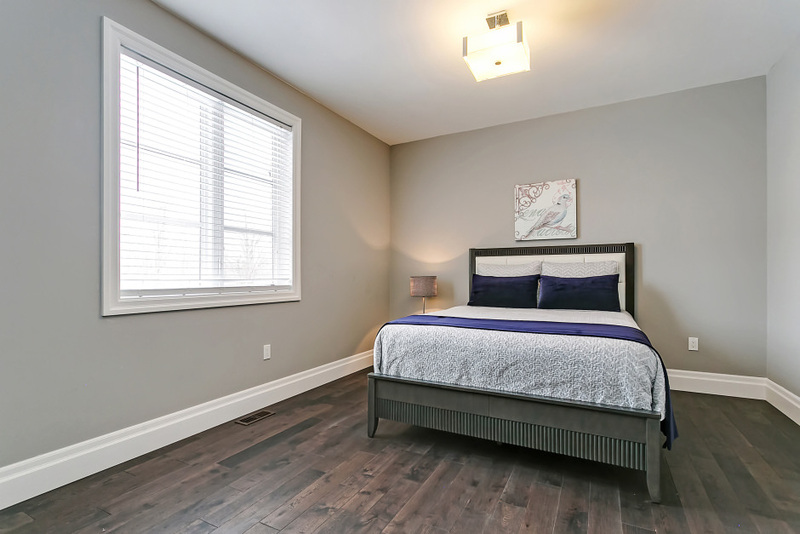 The spacious vaulted master bedroom includes a sitting room with built-in desk, walk-in closet, spacious 5 piece ensuite, and access to a 2nd floor terrace. The remaining 4 bedrooms are generous in size with walk-ins, three with ensuite privileges and the guest room featuring its own private terrace. Impeccably landscaped, 3 car garage, stamped concrete, stone/brick veneer and accent lighting gives this home a timeless appeal. Those with an appreciation for the outdoors will be captivated by this fabulous lifestyle opportunity. 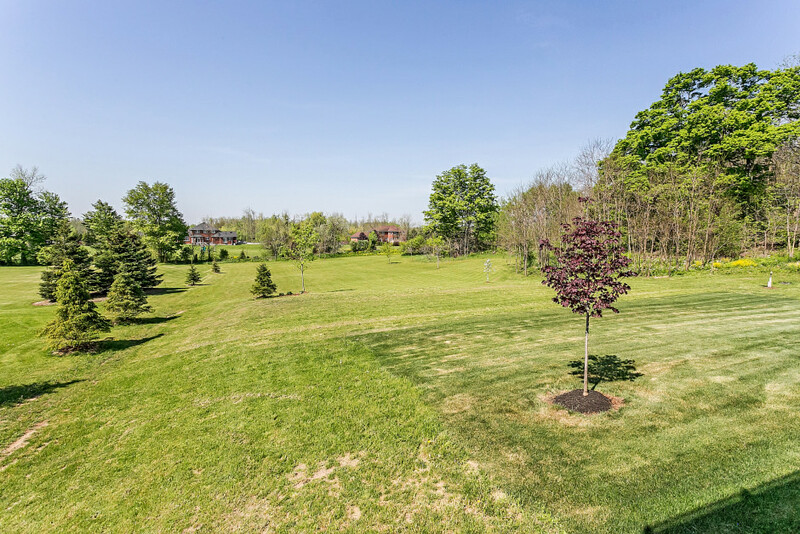 For families seeking a lifestyle of privacy and healthy living, nothing beats the Rural areas of North Oakville, Halton Hills, Georgetown, Carlisle and Kilbride. Build a legacy estate home on large acreage or restore the beauty of an 1840's stone farmhome.